If any of you Phoenix fans are fans of MGMT, then you might remember the anticipation, hype, and disappointment that Congratulations was to its brilliant predecessor Oracular Spectacular. Effortless, electronically-tinged, catchy pop, followed by bizarre experimentation and a rejection of everything that made MGMT good. The good news for Bankrupt! is that it’s not like that! It is, like its comparator, a bit more experimental, less immediately catchy. A bit more deliberate feeling, as opposed to WAP‘s effortlessness. But the hooks, synths, brevity, and sense of cool that made Wolfgang Amadeus Phoenix such a work of art are still there. In Phoenix’s feature-of-the-month, cover story interview with Spin , they mention that the success of WAP means you’ll probably give the new one 3 listen-throughs by virtue of the hype and expectations. There’s some truth to that – when they released it streaming over iTunes, I listened to it at least that many times, and with each time grew fonder and fonder. Indeed, the same thing happened with Wolfgang. Although Bankrupt’s tracks aren’t as effervescently poppy as its predecessors, I didn’t really think that about the last album until a few listens through. What Bankrupt really portrays is diverse musical texture and layers (lots of new sounds and key changes), and a more grown up, at times even psychedelic sound. Don’t worry, by the way, the vocals make just as little sense as they did on Wolfgang, but singer Thomas Mars delivers again. 1. “Entertainment”, the big first single, huge synths, Chinese-sounding main melody, oddly has echoes of “Armistice”, the fantastic closer of WAP. One of the catchier tracks, also the most upbeat by a significant bit. I suspect this will get a lot of airtime this spring and summer. 2. “The Real Thing” takes the drums straight out of Prince’s epic “When Doves Cry”. Synth pads, soft vocals, and a sick chorus chord progression. Good music to chill to in the afternoon on a warm day. 3. “S.O.S. in Bel Air” – Very Wolfgang-y upbeat verse, ethereal, dreamlike chorus, overall great song. 4. “Trying to be Cool” – Reminds me a bit of In Ghost Colors era Cut Copy, or Empire of the Sun. Medium-tempo jam, with detectable guitars beside the synth pads. More banger chord progressions in the chorus and a huge, effective key change towards the end. 5. “Bankrupt!” – Let’s be upfront, this is this album’s “Love Like a Sunset” (the epic 7:39 mostly instrumental synth epic from Wolfgang). The comparisons are just too easy, at nearly 7 minutes, with synth chirps and warbles, a slowly building beat that suddently shifts to a quick piano line, then into nearly Baroque-sounding square-wave synthesized arpeggiated goodness. Mars and guitars return at the end, much like “Love…”, but in an achingly beautiful minor key minor key that may be the vocal highlight of the album. Excellent. 7. “Chloroform” – again a bit 80s sounding. The critics seem to love this song, but apart from the occasional beautiful blooms of synths, the highlight of the song is the last minute, where the instrumentation changes (softer sounding synth pads and melodies, synth bass, and another key change) and Mars shines again. 8. “Don’t” – An upbeat rocker, more classic tried-and-true Phoenix sound, though without any guitars – More Wolfgang-esque material but with arpeggiators. This song gets better with each listen. Another of the catchier tracks, this one is another highlight, and I can easily see it released as the next single, and it has great live potential. 9. “Bourgeois” – a brilliant repeated synthesized harpsichord motif opens, then the rest of the band comes in before a scratchy acoustic guitars and Mars perform a quiet duet,,before everyone else comes back in and the song really kicks off. It’s not especially catchy, but the melody certainly beguiling and captivating, and it has the most balanced instrumentation on the albums, mixing guitars, real drums and bass with their synthesized counterparts beautifully. A beautiful, under-the-radar track. 10. “Oblique City” – forget what I said about Baroque sounding earlier, the opening keyboard line to this one is straight up Bach. But that ends quickly, transforming quickly into an upbeat rocker, with some pretty crucial instrumental/key/time changes. The acoustic guitar ending is especially pretty. Another one that I’m sure sounds great live. So, it should be clear that I generally like Bankrupt! As I said, none of the tracks jump out the way nearly EVERY song on Wolfgang Amadeus Phoenix did, but if Phoenix managed to pull that off, they would be superhuman (or they’d be robots…like…well you know). Standout tracks include “Entertainment”, “S.O.S. in Bel Air”, “Bankrupt”, and “Don’t”, with “Drakkar Noir”, Bourgeois, and “Oblique City” coming right behind them. So that’s 7 of 10 songs as either very good or really quite good. 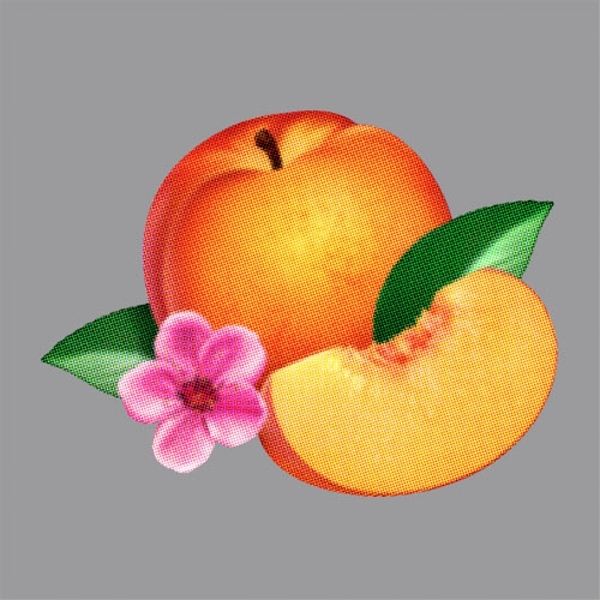 The remaining three, while not my favorites on the album, have their own redeeming features, mostly in the form of tempo, key, and instrumental changes that highlight Phoenix’s self-declared “experimentation” on this album. This is really the first full album review on We Ball Harder (not counting my mini review of the Raveonettes), so there’s my attempt at methodology. I’d say Bankrupt! warrants an 8/10. Very creditable, more mature, more diverse musically, and pretty solid tunes. It’s no Wolfgang, but it’s no disappointment. Well done, Phoenix! Allleeeezzz!!! PS – yes, I bought another CD, just like I did with Observator by the Raveonettes. These things are hard to track down these days! This entry was posted on April 23, 2013 by Hassouni Efendi. It was filed under Electro, Music, Pop, Rock and Roll and was tagged with Bankrupt, Music, Phoenix, pop, Rock. I only wish the end of the song was longer.